Canadian Privacy Law Blog: Twitter publishes its first "transparency report"
Kudos to Twitter for following Google's example and releasing its first "Transparency Report", which summarises the number of government requests for user data and government demands to take down user data. You can find it here and they've blogged about it here: Twitter Blog: Twitter Transparency Report. 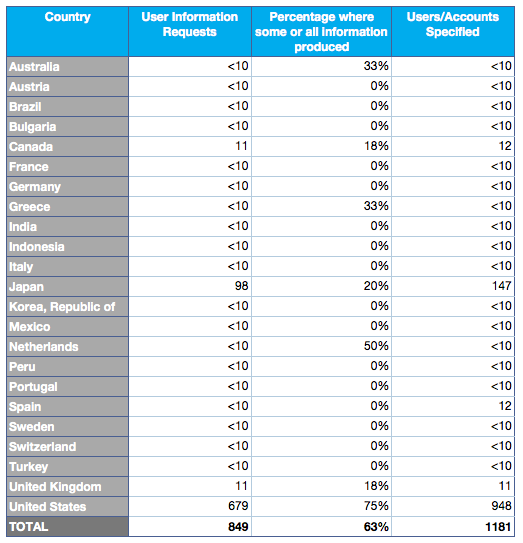 For the first half of 2012, Twitter received 11 requests from Canada related to 11 user accounts and complied with 18% of them.